Our worship services begin at 10:15 a.m. The music reflects both our diversity and our passion. 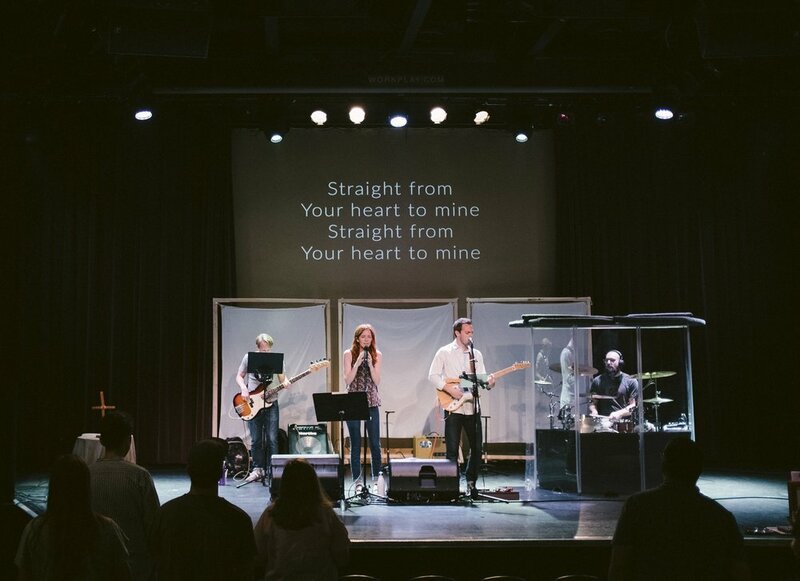 We believe that when Jesus is the center of worship, the Spirit of God is powerfully present in the midst of the worshipping community. Our intention is to focus on Jesus in all that we do; Scripture, prayer, music, communion, and giving. We have come to worship; to encounter the Spirit of the living God. Interested in the songs we sing? Check out each weeks set list here. God's Word is powerful. When preaching is anchored in the Scriptures, fueled by the Spirit, and aimed at making Jesus known, there are few things like it. 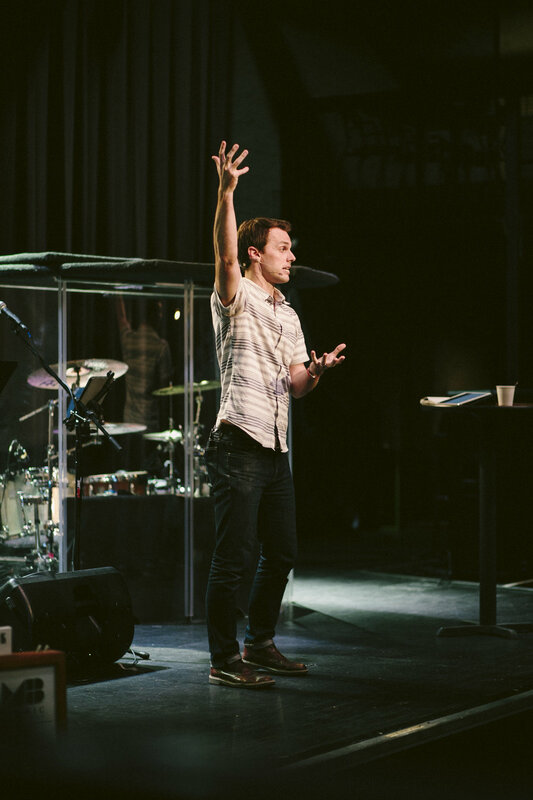 Sermons at Mosaic will always emerge from the Bible and focus on Christ. With the aid of the Spirit, our hope is that these messages will equip us all to live in the fullness of the resurrection, and in the freedom that only the cross could provide. Many of our recent sermons are online here, as well as on iTunes. Prayer is an integral part to any gathering of believers. Each Sunday, prayer is a part of what we do during the Worship Service. We also take time before service to gather to prayer. At 9:30 am inside Work Play Theatre, we gather to pray for our community, for our city, our country, and the world. We pray for one another, and for Holy Spirit to move. Join us for this 30mins of pre-service prayer each Sunday. On Sunday mornings, see the Kids table, and the posted for classroom locations.